Susan Wingate is the winner of five literary awards and is a #1 Amazon Best Selling Author. She is an expert in e-book self-publishing. Her work has ranged from young adult romance to dark mystery. Susan has won various other literary awards for her short stories and poetry. In this interview, Wingate explains how writers can create an award-winning and popular blog. Narrator: Have you listened to the Creating Wealth series, I mean from the beginning. If not, you can go ahead and get book one that shows one to twenty in digital download. These are advanced strategies for wealth creation. For more information go to JasonHartman.com. 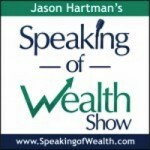 Jason Hartman: Hey it’s my pleasure to welcome Susan Wingate to the show. She is an expert on epublishing and an award winning Amazon bestselling author with several books, and she is coming t us today from the very beautiful San Juan Islands. Susan welcome, how are you? Susan Wingate: I’m great, thank you for having me Jason, I really appreciate being on your show. Jason Hartman: The pleasure is all mine. And I should tell our listeners, just in case they don’t know where the San Juan Islands are, they are off of the coast of Washington state, Seattle area, and it’s just beautiful up there. Do you have any words about the place in which you live? 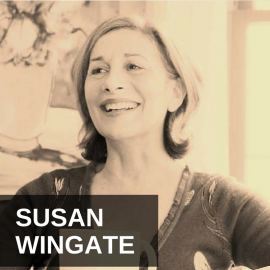 Susan Wingate: I use to live in Phoenix, Arizona, and I’m not sure if you know anything about Phoenix, but it’s dry, hot and desert, so I often tell people it was like moving from hell to heaven. In 2000 mile. Jason Hartman: Phoenix is only hell in the summer, but yes I agree. It’s just about as hot, but they say it’s a dry heat. Susan Wingate: Yes. It gives me no comfort whatsoever. Jason Hartman: Tell us a little bit about your background in publishing. I was kind of leading into that location issue is one of the great things about being an author is that you can really live anywhere in the world. And that it really provides a nice freedom like that, but tell us a little bit about how you got started and the success you’ve had. Susan Wingate: It’s interesting that you asked about the place and how I got started and all of that because it was on the…I had been writing before, but it was on the trip on the road trip I had a bazillion animals that I had to tote along with me. So from Phoenix to San Juan Island, in my mind wrote the premise of my first novel, which is called Of the Law. I self-published that one first and then it did get picked up later by a publisher in Castroville, Texas. So it did pretty well as a paperback there, but then I got the rights back and self-published again and am very pleased with it. It’s interesting how we get started. It was definitely my first novel from Phoenix to San Juan Island writing that story. Susan Wingate: That was 1997. I had been writing quite a long time before that, but really got serious about writing in 1995 when I was producing a lot of poetry. Some of that I don’t have any longer. It was all written, by hand and didn’t translate into the computer with such ease of any kind of work writers have. But yes, it was 1995 when I got serious I of course I was writing before then, snippets here and there and little short stories, song writing, I was doing a lot of song writing. I was doing some poetry as well, but I never thought of it as a career choice. It was only until 1995, a year before my father died, that I really got serious about it. He was a writer. Jason Hartman: And Susan how many books do you have published now? Susan Wingate: I believe it’s something like six. It’s on my website and yes, and some of those are traditionally published and some of those are self-published. Jason Hartman: And tell us about the success you’ve had. Susan Wingate: You know success is something that people equate to celebrity, and then of course monetary success is also something that people think of. When they hear that word success or read it, they think of a dollar sign, or somebody on television or somebody very well known, a brand. My success has been some of that and I’m seeing more of that. But I feel my success came much earlier in my career when I had one-to-one contact with people, and I’m talking about my success as a writer. When I had one-to-one contact with people that valued my work early on, that said this is really good and I want to see you go forward in your career. People that pushed me forward in my career, because there was a time when I was vacillating, is this really something that I can make a living doing. As a result, yes it is, I can say that many years later. It takes a long time, I think sometimes not, for some people it doesn’t, but it did for me. I’m speaking personally now, it did for me. But the success was when somebody very close to me said, “This is beautiful, keep going”. That to me is when you know that you’ve done something right. Jason Hartman: Sure, Sure. Good. Quantify that a little bit on the more worldly side of success, if you would, and share any kind of numbers you’d like to share or rankings or anything like that. Susan Wingate: Sure. It was in 2011, and this is a mainstream novel, women’s fiction, and it’s also classified in drama. Drowning, it has been my best seller by far across the books. And it doesn’t surprise me. I fell in love with drama and women fiction long ago. I used to read novels and watched the movies and also read the plays by Tennessee Williams, and all of those great authors that had drama down to a T. So it really is in me, as far as that dramatic sense of storytelling. So that Drowning had 25 thousand downloads in January and February of 2012, was not a surprise only because…I mean it was thrilling to watch, believe me it was thrilling and I was all giddy and everything. But it wasn’t a surprise because that core thing that I know about drama and about women fiction and relationship strife, that sort of thing was something that is just in me. So when it received an award in 2011, November of 2011 it won a category of drama for the 2011 Forward National Literature award, which was also a great honor. And then it just continues to sell. It ranked as a number one Amazon best seller and it has held that. It goes up and down, on and off since the award. The award I believe really pushed it forward. And it is the biggest seller across the board on Barnes and Noble and Amazon, and it just released in paperback. I just saw the proof in paperback, so in my mind it just released but it’s coming out at the end, I believe, of October or somewhere around there. So it will be available in paperback soon. But yes, when you see something take off that thing that somebody said 10, or 11, or 12 years ago that this is good quality writing really shows in dollars then, you know it makes sense. Then it becomes a reality. It’s flattery at some level way back then when somebody you know says something like this. And this person that took me under his wing in Michael Collins. His novel, Keepers of Truth, was short listed for the Man Booker award in 2000. So he’s no grunt himself, he is quite an amazing author, and he was an international best seller and a New York Times best seller as well. So for someone of that level to say your book is good, your writing is good keep going is a real complement, and then later it translates to what other people might hear about success of writers, or actors, or singers or any of the people in the entertainment business. Jason Hartman: Tell us a little bit about your thoughts on a formula, if there is one, for writing. Something that works, that just gets people to want to read it and pass it along and refer people. Susan Wingate: Yes, that’s such a good question Jason, thank you for asking Jason. Jason Hartman: It’s the question of the ages. Susan Wingate: It is the question of the ages but it. . .
Jason Hartman: But everybody wants to know. Susan Wingate: It’s not that difficult and maybe I’m being arrogant in thinking I know the answer but really attaching your words to somebody else’s soul is something that will make your book sell. Having something, just any emotional attachment to your character, is having the reader emotionally attached to the character is something that you just must do in your stories, whether it’s a thriller or whether it is literary fiction. You have to be able to tap into some core emotion of the reader and it will resonate and then your work will sell, and it will be word of mouth, hand to hand, here’s a great book, read this type of sales, and those are the best kinds because you want people handing your book around. But anything that has to do with sadness, loss, grief, love. . .I mean look at romance. It’s all about love and that’s one of our most cherished emotion. It’s the one thing in the bible that is said there are 3 things that remain, hope, faith, and love, and of those 3 love is the most cherished. So all of those, if you have all of those key desires, our emotion hope, faith and love, you’re just gonna hit a home run. Jason Hartman: Okay, so that’s the subject matter. But there’s a lot more to it than that. I may not agree with you that’s pretty universal as far as humans beings go. But what else can you tell us about the style, the formula, the way in which you write. That actually leads to another question too. How do you write, what’s your technique in terms of are you. . .some authors actually still use pen and paper, most type on a computer, some use dictation software, any tips there as well. Susan Wingate: Right I’ll get to that one. Well let me talk to that one first because I think it’s the easiest one. I usually write into the computer first. If I don’t have my computer available I will write whatever comes to mind, I will write it down pen and paper. But definitely I get it into the computer quickly. How I write in style and voice and all of those qualities, that is something that each author brings to their own work, it’s something that you cannot define style. I mean you can say he has a great fluid style. I suppose you could describe style, but you can’t really define it because everybody has their own. Everybody has their own voice, voice of author, the authorial voice. The character voice, the narrative voice. There are many layers of voice that come to any kind of writing. How I write, I write first draft of course and then I go back and just comb through it, and what I do is I layer in. . .so this is the actual technique we’re talking about. I layer in the beauty. I think people like Joyce Carol Oates just have it down their first go. There is no question that she’s not thinking of the perfect word right when she’s writing. I try to get the story out first and then I come back and layer and layer and layer. I’ll go through several layers, probably 7 layers and then that’s not the end of editing. So you’re not only doing structural sentence layering, and fixing and tweaking, but you’re also picking out words that you want to change, words that you would like to make more beautiful. You theme is that you automatically have them when you’re writing, there’s this sense about your story and this metaphor that covers it. So you can really work your metaphor in by going through these different phases of writing and layering in more perfect word for the metaphor you’re trying to bring out. Jason Hartman: Makes sense, okay what else. Jason Hartman: Yeah, there’s more to it than that, we know that. Susan Wingate: There is more, and it’s funny because it’s second nature, so to actually talk about it I sit, I write from the couch. I’ve got a blog that’s called Writing from the Couch. Jason Hartman: So you’re not sitting at a desk? Susan Wingate: No, I can’t any more. I realized I couldn’t do that, it’s too constrained for me for some reason. I have to be comfortable so I’m writing from my couch. So the exact way I write is I sit down in the morning. I’m one of those morning writers unless I wake up in the middle in the night and have some story rattling around in my head. But I usually sit in the morning on my couch with a cup of coffee or tea and start writing and start from if I’ve already begun a novel then I work through from the previous day’s work down, and I do a shallow edit, because what I’m doing is I’m just trying to get to where I ended the previous day so that I can start again fresh and have that story in my head as I go forward with my new writing for that day. And I sometimes outline, but most often lately I have not been outlining. I’ll have the 3 major parts of the novel in my head, the beginning, the middle and the end, and I’ll work towards as the story unveils itself. Jason Hartman: Do you have any particular length preference? Nowadays with Kindle Publishing, especially in the Kindle shorts concept, books are getting a lot shorter, which honestly I kind of like that. Everybody’s strapped for time and I think in the old days of the 220 page book or whatever the ideal number is, I’ve heard differences of opinion on that, a lot of times authors just sort of know it needs to be a certain length, or they did. But now those rules have lifted somewhat. Susan Wingate: Yeah, they’ve definitely lifted. People are really loving the short stories and buying the short stories. I’ve always written shorter. I know people that write 90 and 110 thousand words, but I’ve always written right around 60 thousand, and if that goes through an edit of course that’s gonna be fewer words. But then it’s also sometimes it needs more work, so it can go up. But if I stopped at 60 thousand and edited it would be a much shorter book than just 60. It would probably be at like around 45 to 50 thousand words. But I’m comfortable with that and I think that’s because of the literary reading that I’ve done. Most literary novels and anybody could say well what about this. The more contemporary literary fiction out there the more main stream fiction out there right now is shorter. You’re looking at 220 to 250 pages, which is really a short novel. And far shorter than some of the thrillers which like to be right around 90 thousand words. For whatever reason I’m comfortable, and usually end up writing right around 60 thousand words. But I don’t think of it that way, I don’t think of it as far as length, it just happens that way. Jason Hartman: Okay good. Any other things you want to share in terms of writing formulas or what works. I mean you didn’t say well the Hero’s Journey for example, Joseph Campbell Hero’s Journey. Anything else you want to say as far as writing techniques, what really engages readers. Susan Wingate: Absolutely. Like I said there is an emotional quality that needs to be there for readers to connect, and I was just listening to a radio program and Andrew Gross, who is a thriller writer and wrote under James Patterson actually, said if you can’t engage your reader within the first 10 pages of your novel, you’re not going to do it. And he said even actually 3 to 10 pages, the first 3 to 10 pages, I totally agree with that. I think if you can have some emotional bang at the beginning of the novel within the first couple of paragraphs actually, and that’s the kind of reader I am. If I am not engaged within the first couple of paragraphs I will not read a book. And I hate saying that, but as an author myself, as a radio show host, I don’t have time to force myself into reading a book when I know that the next book out there will grab me within just a few sentences. So you really have to be able to grab the person immediately, grab the reader immediately and then as far as structure goes there is always, if you wanted to talk structure, I teach. . .it’s called Muscle up the Guts of Your Story, how to write the novel. And that is all about structure and outlining actually. And I think it’s an incredible way to do your first couple of novels by following outline, but once you do have an outline and you’ve worked through it a couple of times, you can move into writing a novel without having a real outline on paper sitting right by your computer and you’re watching as you go, okay now I’m at this time in this outline, so I need to write this. And it sounds very formulaic, it is not, it works very well and actually Drowning was outlined, as was Bobby Steiner. But I think that everybody as far as character development needs to understand their character perfectly and yes, you can go to Joseph Campbell’s Hero’s Journey, but you can also just follow the simple formula that Aristotle gave us back in, what was it like, 2020 bc, he said there are three parts to good story telling, the beginning, the middle and the end. And of course you have to have those, you have to have a compelling character with a compelling problem in the beginning. Then there has to be some blow up scenes and working up to that of course to the middle, and then of course the end is the resolution and the slowing down of action. So you have all of these parts that Aristotle talked about way back when. And then it’s been built on and built on and built on, that formula, the beginning, middle and end, to include inciting event, and then of course conflict development, scene setting, and character development is the biggest for anybody you need to have that character. Now science fiction, you can talk about science fiction where scene setting is the biggest. People really love different worlds in science fiction, but there’s always a character involved. So the world, the other world has to have a problem surrounding it that really affect some character that’s gonna drive the rest of the story. So character is key. If you don’t have character you’re missing out on a big part of storytelling. Jason Hartman: Good. Character development, very important obviously. Give out your website if you would Susan and tell people where they can find you. Susan Wingate: Absolutely. Thank you so much for asking. My website is SusanWingate.com and you can find me anywhere. I’ve got my books listed there on SusanWingate.com and you can contact me through that website at SusanWingate.com. And you can also find me on Facebook and Twitter, but I’m also, like you Jason, a radio show host on Blog talk Radio, called Dialogue Between the Line, so you can listen to all of my great guests as well. I have a lot of fun with the authors. I usually interview authors, sometimes agents and publishers. But yeah, and you can find my books wherever books are sold, so thank you for having me on your show, this is quite an honor. Jason Hartman: Well good stuff. Good to talk to you today and thank you so much for sharing these insights. Of course the books are also available on Amazon and all the usual spots I’m sure. And Susan Wingate, thank you for joining us today. Susan Wingate: Thank you Jason.